Huge selection of used parts! 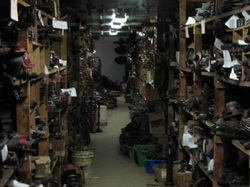 We have hundreds of thousands of parts in inventory. Call if you don't see your part in our listed inventory. We probably have it! We have a huge selection of used tires and rims! Search our inventory of listed parts; it is rising daily! Please call if you have questions on a specific part!! We have parted over 1,400 tractors and 250 combines over the years we have been in business! Call and find out if we have your model!